With the influx of smart systems, better WiFi speeds and easy connectivity it is becoming normal to be able to control your whole life from a pocket device. When I was a boy – oh so far away now – TV, telephones and gadgets were a boy’s dream. I was nine before we got a 12 inch screen black and white TV and a teenager when we got a shared telephone line. When mobile phones were first on sale I was one of the first 200 people in the UK to have one, a 4Kg brick that lasted for 6 hours providing you didn’t use it. Fast forward 30/40 years I now have a device in my pocket that I can call anywhere on the planet, check the weather in Calais, watch a film, send a message or check what is happening at home via cameras. Now when I’m out, I’m in, if someone rings my doorbell I get an instant ding dong on my pocket device. I can answer the ‘door’ from anywhere and speak to the person as well as see them. ‘Okay mate can you leave it in the porch?’ watch the driver put it inside and walk away ‘Thank You’ I always say so they know I have seen them. My hands free phone also means I can speak while mobile. 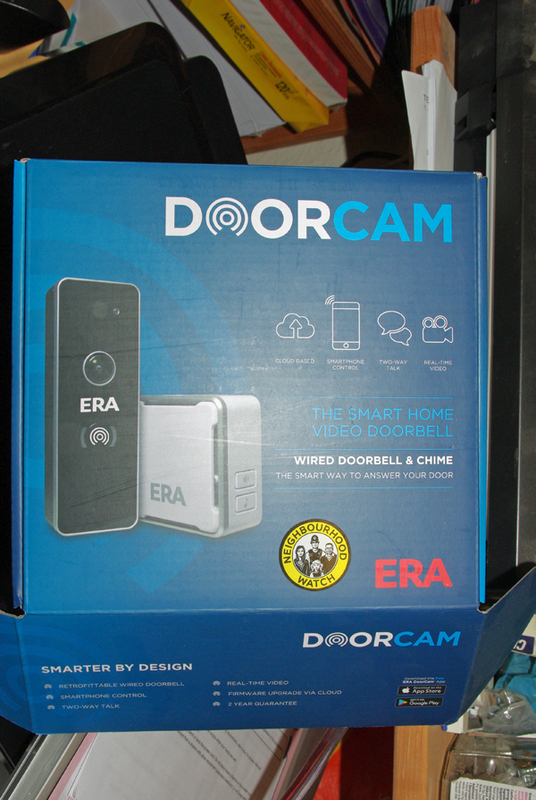 There are a few on the market but I have the ERA Doorcam. 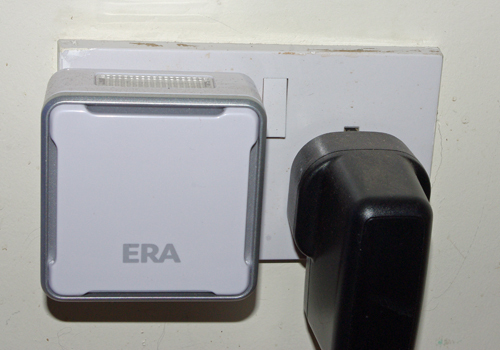 The stable of ERA has always moved with the times, their Locca system was favoured by many and I installed dozens – never had a callback and I usually fitted them via their relay to auto door openers. With the merger of Response with ERA, a whole new range of kit is available. 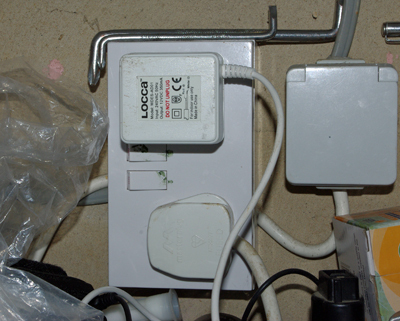 The doorcam was easy to install, I used a surplus Locca power supply, the whole installation including a hole through the wall 20 mins. I plugged in the internal chime and downloaded the app. The setup procedure was written by someone who knew what they were doing and some parts are not clear. It tells you to go to the WiFi connections and select the Doorcam – what is not clear is once you have finished setting up the Doorcam in the app, you must go back to your device afterwards and re-connect to your WiFi. It has been working a while now and I love the almost instant notification when someone is walking up the drive, it takes a few seconds to view but it clearly shows who is there. If they ring the doorbell, (and I have a problem with this it seems, Amazon drivers door bell skills are lacking. But other deliveries are great) you can talk to the driver, advise them where to leave it, watch them do that and leave, all of which is recorded. Does not help if the numpty wants a signature though, Doh! I did have another system installed, much publicised but the battery needed constant topping up, it is slow to respond and rarely made the trip to my mobile. I have now scrapped this in favour of the Doorcam. The app is great. There are several adjustments you can make to the camera, the detection area being important. I have reduced mine down to one section and low sensitivity and yet it still catches lorries going past to the neighbours. You can also go to ‘live view’ from your device, something the other device would never let me do, it connects quickly and the picture is pretty good, you can take a snapshot or video. The actuations are stored in the cloud and I believe after the initial period it is fairly cheap to store your videos and who knows, maybe at some point catch a thief. 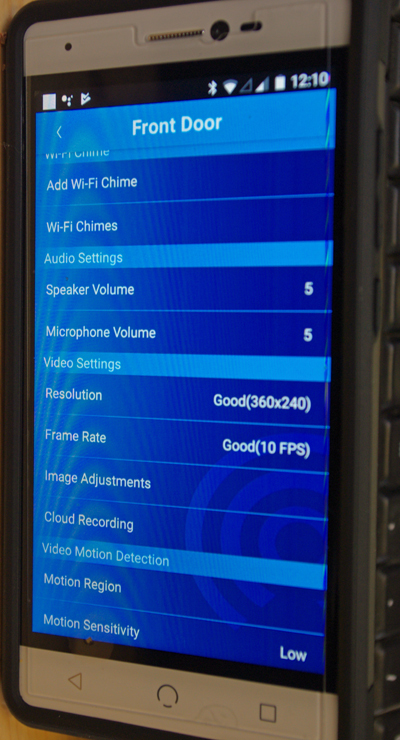 The microphone volume, resolution, frame rate etc etc. It is very versatile. The indoor chime unit has a light, A VERY bright light, which is enough to use as a nightlight, but it can be turned off. It does not have a huge range of ringtones but they are adequate. 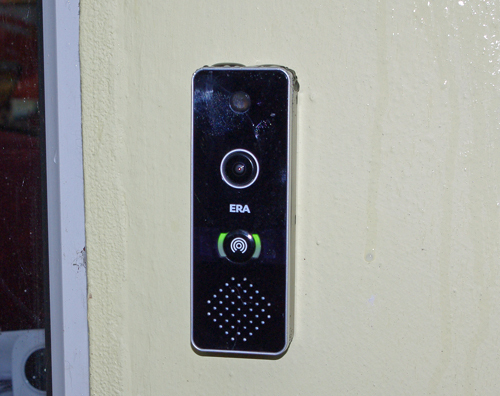 As I mentioned the effectiveness is great when the doorbell is pushed within seconds the mobile chimes and you can talk to the caller, if it detects a movement you get a tone but the video is uploaded to the cloud and it takes a few seconds to see who is/was there. For security, only one app can be connected to one Doorcam, although you can register another device under another guise and connect. Unlike another unit, the chime unit does not give warning of an approaching visitor, something I did find handy with the other make. My sitting room is at the rear with no clear view of the front door. If someone approaches it used to play a tinkling sound, which the dogs have learnt is someone coming to the door, they then leap off my lap enabling me to un-recline my chair and at least be standing up when they ring/knock on the door – else I find my parcel dumped on the doorstep, or on one occasion a £200 Amazon parcel dumped on top of the wheelie bin. 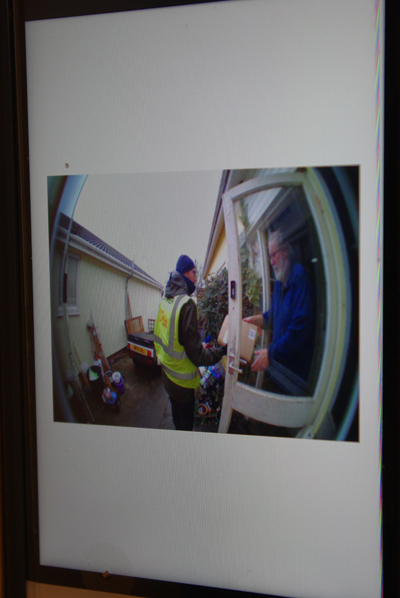 And later when I change my porch the ability to unlock the door to allow deliveries, especially at Christmas when I waited in for 8 hours for a £2.5K goods delivery on Tuesday. 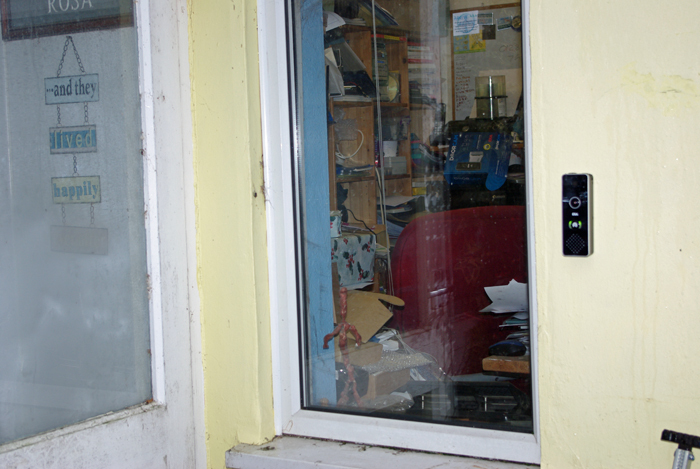 I think it is a great unit, if I could open a door or actuate an automatic door operator I would use it for my customers, the ability for a family member or maybe a call centre to open a door would be a great advance. I recommend the unit it has survived me fitting it, lots of rain, a couple of frosts.